As much as I love getting dolled up with a cute dress and my fancy heels to go out and party the night away, there are just some nights when you just cannot be bothered and would much prefer to throw on some comfy PJ's and put on a good rom com with wine and popcorn. We've all been there! The night can get even better if you invite some friends around and turn it into an adult slumber party! 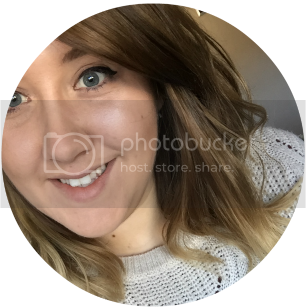 Since the weather has started to turn slightly colder and it won't be long before the dark Winter nights are on us, I thought sleepovers and girls nights in instead of nightclubs and beer gardens would be a nice change and would I made a short list of all the things are night in essentials! 1. Cute pyjamas. Because obviously you want to comfy when you're chilling out with your girls! Disney characters are optional! 2. Alcohol. Because we're all adults and wine tastes nice. This can also be substituted for cocktails and maybe a few shots! 3. A good DVD. Either a rom com or a good comedy but a movie is definitely needed for a girls night in! 4. Popcorn. To eat with the film, duh! 5. Eye mask. Because even after all the fun and laughter, you definitely still need your beauty sleep. 6. Face masks. Typical sleepover material. One would be seriously lacking if you didn't pamper yourself in one way or another! 7. Nail Polish. Because you can only ever do the one hand properly yourself so you definitely need to take advantage of having a friend there to do it for you. 8. Cupcakes. Because we're already ruining the diet with the popcorn and wine so why not treat yourself? 9. Pizza. Because no good night started with a salad! Any takeaway will do but pizza has always got to be my firm favourite. Yes to all of those!! 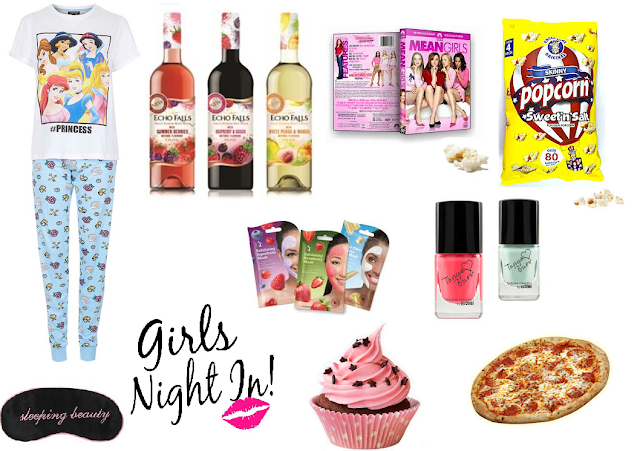 I need a good girls night in! Yes, yes, yes, yes and yes. Those pjs look so cute and I seriously want pizza right now. those pjs! I love anything and everything Disney related, and I found a set fleecy pjs Frozen pjs from Primark and I want! !